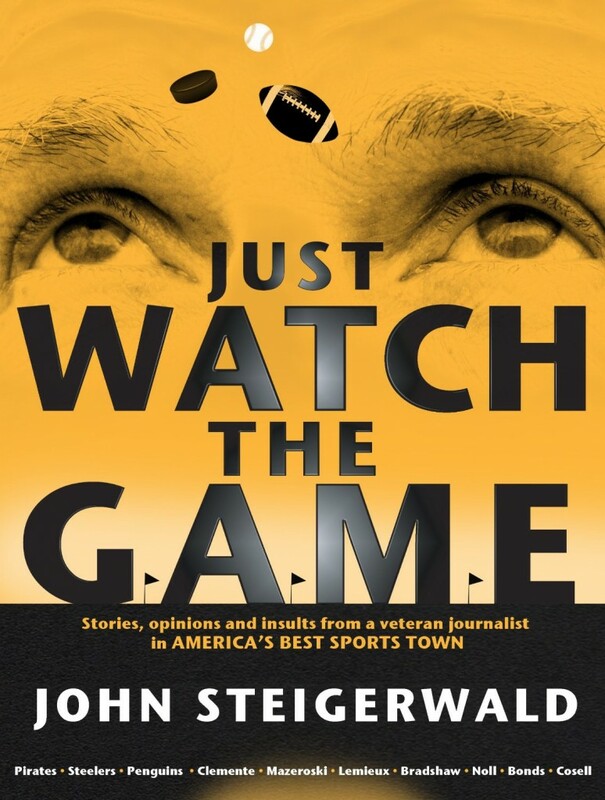 This new edition of Just Watch the Game combines, expands and updates John Steigerwald’s two previous Pittsburgh-area bestsellers to create a doubly funny and unflinchingly critical memoir. Never boring, uniquely opinionated and often controversial, Steigerwald has been covering Pittsburgh’s sports as a TV and radio reporter, newspaper columnist and talk-show host since 1977. In Just Watch the Game he details his up-close encounters with Pittsburgh superstars Terry Bradshaw, Mario Lemieux and Arnold Palmer, not to mention the late Chuck Noll, heavyweight champion Michael Moorer and Howard Cosell. Steigerwald also reflects on what it was like to ride the buses in minor league baseball, experience the rise and fall of local TV news, pinch-hit for Dale Berra and “star” in a movie with Michael Keaton. Against the background of the inexorable dumbing down of the American sports fan and the tragic feminization of the American male, he offers dozens of radical but sensible commentaries on everything from the disappearance of the pickup game to why he thinks Chuck Noll was the greatest coach in NFL history. Just Watch the Game is available as a Kindle ebook at Amazon.com for $6 or pre-order your paperback copy for the special price of $11.99 and it will be sent to you on publication in October. This is not a collection of famous or big-time sporting events Steigerwald has covered since the 1970s. It’s a book about people — including a day spent in a car with Satchel Paige — and he takes on icons, including Mister Rogers, PNC Park and women sportscasters…. It’s irreverent, politically incorrect and as fun to read as any “sports” book you’ll pick up. The St. Bernard’s Streak is about so much more than football. It’s about turning boys into men without apology. I don’t know about you, but for years I’ve been getting the impression that our schools have been doing whatever they can to make boys more like women. Let’s not be too competitive. Let’s not have winners and losers because the losers’ self-esteem will suffer. Let’s let everybody be on the team even if they don’t really want to be on the team and let’s let them play even if they stink.